Gophers are a major nuisance for farmers, orchard owners, and homeowners across California. One gopher will dig several holes and a burrow system that is between 200 and 2,000 feet in length. Learn more about gophers, including how to identify them, how to keep them out, and how to safely remove them from your property. The most common type of pocket gopher (called gopher for short) found in California is the Botta's pocket gopher. Pocket gophers get their name from the small cheek pockets in which they store dirt while digging. These rodents are roughly six inches to just over a foot in length and are brown in color. Males are typically larger than females. Botta's pocket gopher only comes out of its extensive burrow system when eating. Watch for pocket gophers near the entrance of burrows. Pocket gophers eat almost anything that grows in the ground, including plants, grass, trees, shrubs, and vegetables, although they prefer roots and tubers because these grow underground. Gophers also dine on grubs, small insects, and worms. Gophers are a nuisance not only because they dig unsightly holes on your property but also because their burrows impact soil erosion by disrupting your lawn's natural irrigation. Your backyard vegetable garden is vulnerable to damage. Any vegetables that grow underground, including carrots, potatoes, and radishes, are especially at risk. Gophers gnaw through plastic, including your sprinkler system or plastic water lines, when creating their burrows. Watch for small mounds of dirt featuring holes shaped like the letter u. Gophers leave holes open so that they can easily eat nearby grass and vegetation. Once the vegetation near the hole is gone, the gophers plug the hole with dirt. Check for damage or chew marks on the base of trees or shrubs, especially near dirt mounds. Gophers do not travel far beyond their holes to find vegetation. If your sprinkler or irrigation system is functioning improperly, carefully dig around the pipes and check for damage or chew marks. Underground electrical and utility lines are vulnerable to gopher damage as well. Keeping gophers out of your entire yard and property is difficult, especially since gopher burrows can reach depths of six feet underground. Instead, concentrate on smaller areas that you want to protect from gopher damage, including your backyard garden, ornamentals, and other expensive foliage. Erect a fence around these areas that is buried 18 inches to 2 feet underground. Contact a pest-control agent before using chemical or homemade deterrents, such as castor oil or peppermint oil. Many store-bought deterrents contain toxic chemicals that can harm you, your children, and pets. Homemade deterrents aren't typically effective and, depending upon the product you use, could be harmful to your lawn, foliage, and pets. Visual, biological, and audible frightening devices, such as predator decoys and motion-activated sprinklers, are often ineffective because the gophers are accustomed to the loud noises and commotion of a typical backyard. According to California law, gophers are classified as nongame animals. If gophers are destroying your crops, backyard garden, lawn, or any other foliage on your property and this destruction is costing you money, you have the legal right to eliminate the gophers in a safe manner. In California, you do not need to acquire a trapping license if you are not profiting from the trapping and sale of the gopher. Trapping is a safe and effective option for homeowners. However, because gophers create an intricate burrowing system in your backyard, you may not be able to determine which burrow the gopher is using. Leaving the baiting and trapping of gophers to the professionals is the best option because they have the skills and tools necessary to locate the gophers and safely remove them from your property. Toxic baits are available that can effectively control gophers. The most common contains strychnine alkaloid, a dangerous poison that will kill the gophers within one hour after consumption. These types of products should be handled and used by a professional as well. Commercially available toxic baits are dangerous to other animals on your property, including your pets and wild animals that could be protected by California law. You should also avoid flooding the burrows with water unless this method is recommended by a professional. Placing a garden hose into a burrow to drive out the gophers is often ineffective because it loosens the soil, making it easier for gophers to dig through the ground. Gophers are a common nuisance animal in California that can wreak havoc on your lawn, trees, shrubs, and backyard garden. If you have any more questions or suspect that you have gophers on your property, contact the professionals at Greenleaf Organic Pest Management, Inc.
Urban areas have lots of pests. As a homeowner in the Los Angeles area, you will encounter everything from black widows in your crawl space to pantry moths in your kitchen. You may also encounter rats, mice, termites, cockroaches, and ants. Protect your property from pests with these simple suggestions. These help keep away insects as well as rodents. Roaches and other small insects find their way into your house through cracks and crevices. Sealing cracks with caulk prevents this from happening. Use weatherstripping to close gaps under doors and windows. Do this in late fall, before winter comes. This way, when rodents look a warm place to stay, they will be less likely to get into your home. Odor from trash bags can attract bugs and vermin to your property. Storing trash somewhere away from your house can prevent pests from finding their way into your home. Use odor-blocking trash bags and sealed trash containers inside your house. Empty out your food garbage every night before going to bed. Keep the outdoor trash cans away from the exterior wall of your house. Clean your garbage cans periodically to get rid of odors that may attract bugs. Home improvement projects and yard work can produce debris like carpet squares and grass. Leaving this debris sitting in your yard for any period of time may bring bugs to your property and even into your house. Clean up leftover debris and arrange for debris disposal as needed. Improperly sealed food will attract everything from mice to pantry moths. Store dry foods like cereal and grains in hard plastic or glass jars. If you do not have individual jars where you can store your dry foods, store your dry food boxes in large plastic tubs. Often, homes have vents and pipes that enable airflow. Sometimes vents and pipes create a natural entrance for rodents and insects, especially if these openings do not have proper protection. Hardware cloth is a tough wire mesh that mice and rats cannot penetrate. Cut out hardware cloth in the proper shape to cover all vents and openings in the walls of your home, and then use the hardware cloth to cover those openings and keep out vermin. Landscaping makes an excellent hiding place for rodents like mice and rats. Some overgrown trees can even create a walkway that rodents may use to access your attic. Trim landscaping properly throughout the year to prevent it from becoming a home for unwanted animals. When planting new landscaping, select slow-growing shrubs because slow-growing plants are easier to trim. Firewood attracts termites. The older and softer the wood, the more attractive it becomes to termites. Storing wood against your house may draw termites to your walls and into your home. Store firewood against a wall far away from your home. If possible, keep the firewood up and off the ground to make the wood less of a target for wood-eating pests. Cats are lethal to mice. Even cats that do not spend much time hunting mice still have a smell that naturally deters mice. If your home smells like a cat, mice may prefer to nest elsewhere. Not a cat lover? Some dogs are also natural born mouse-killers, and those that are not can often be trained. Pet food often contains meat by-products that can attract cockroaches, mice, and other animals. Leaving pet food out indefinitely after your pet eats will attract animals to your property. Clean up pet food as soon as your pet finishes eating. Keep track of how much your pet eats, and only feed your pet as much as it will eat in one sitting. Even if you clean up pet food quickly, some insects may still be attracted to your pet's food dish. To prevent ants and cockroaches from accessing your pet's food, buy a moat dish. A moat dish has a space for a moat surrounding the area where food is. Keep the moat filled with slightly soapy water, and any insect that tries to gain access to the food dish will likely drown. Working with a pest control company is an excellent way to keep your home free of pests. Have a pest control company come to your house regularly and treat for insects and rodents as needed. For more information about how you can keep your home free of pests, contact Greenleaf Organic Pest Management, Inc. We will be happy to answer your questions. Could a Pest Infestation Leave You Short of Breath? People who suffer from outdoor allergies and asthma need to have a home that's a sanctuary from the allergens that can cause discomfort and shortness of breath. Unfortunately, allergens can sometimes find their way inside the home, which can make the house feel like less of a respite and more of a trap. 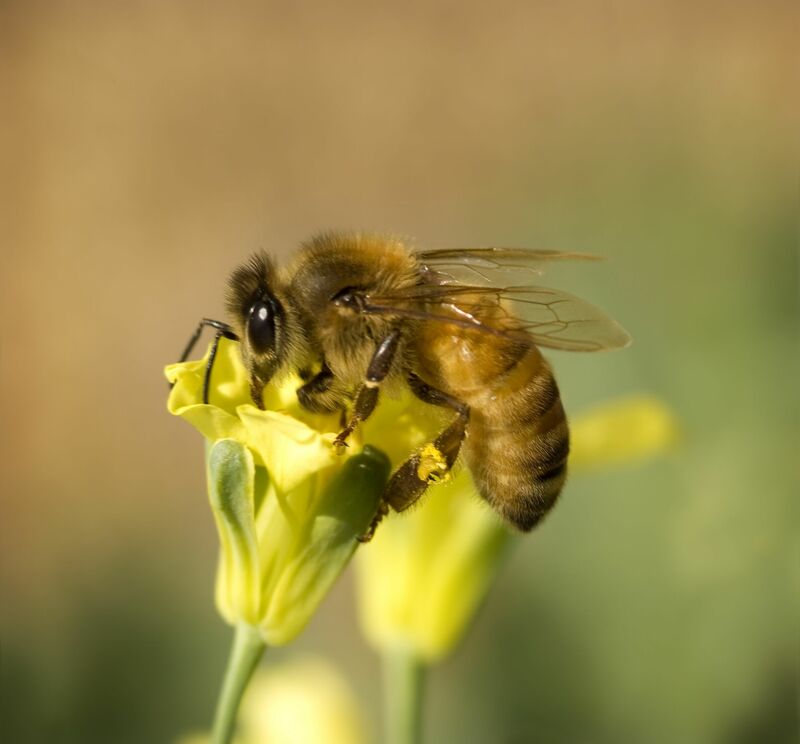 What you may not know is that if you're experiencing outdoor allergy symptoms inside the home, you might have a pest problem. Learn about three pests you might be allergic to and what signs you should look out for. You don’t want cockroaches inside your home for a number of reasons. They're ugly to look at, and they can carry germs and contaminate food, just to name a few. However, they may be responsible for even more serious problems in allergy and asthma sufferers. Cockroaches produce allergens that are similar to those produced by dust mites. These allergens can be found in cockroach feces as well as in body parts. 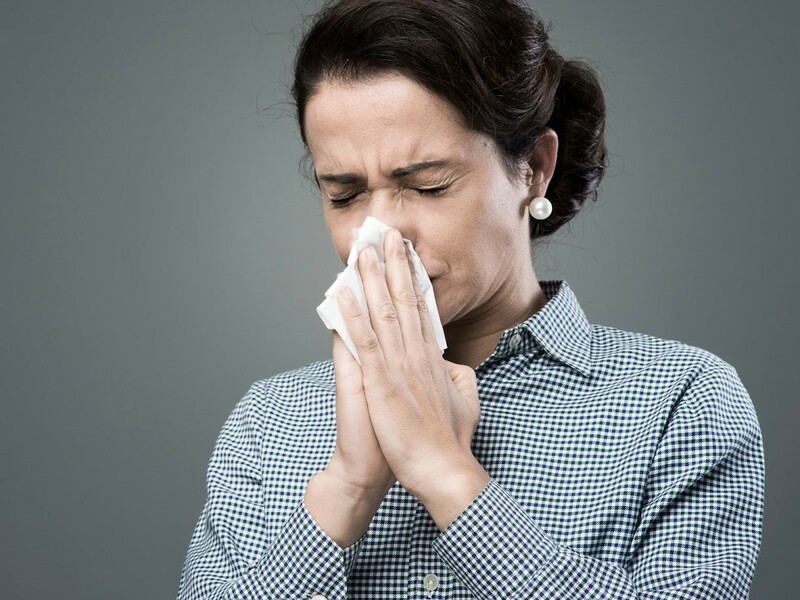 When the allergens become airborne, you can breathe them in, resulting in symptoms like a runny nose, watery eyes, sneezing, and difficulty breathing. Some evidence suggests that exposure to cockroach allergens could cause asthma in preschoolers. Cockroach allergens become airborne when they're disturbed, such as when you dust or vacuum an area where they've collected. Allergens can also settle into bedding and pillows, which means that you may breathe them in while you're sleeping. 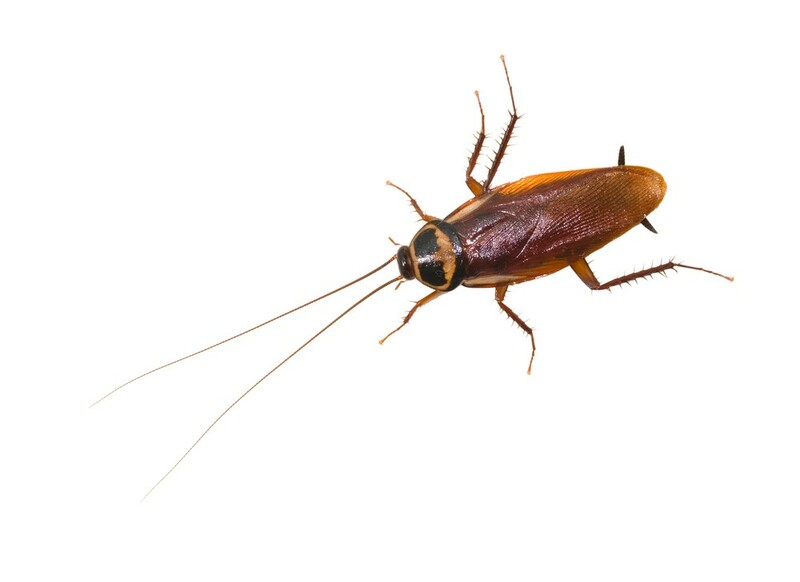 Cockroaches are good at hiding, so if you see one or two around the house, that's a pretty good indication that there are more hiding in the nooks and crannies of your home. 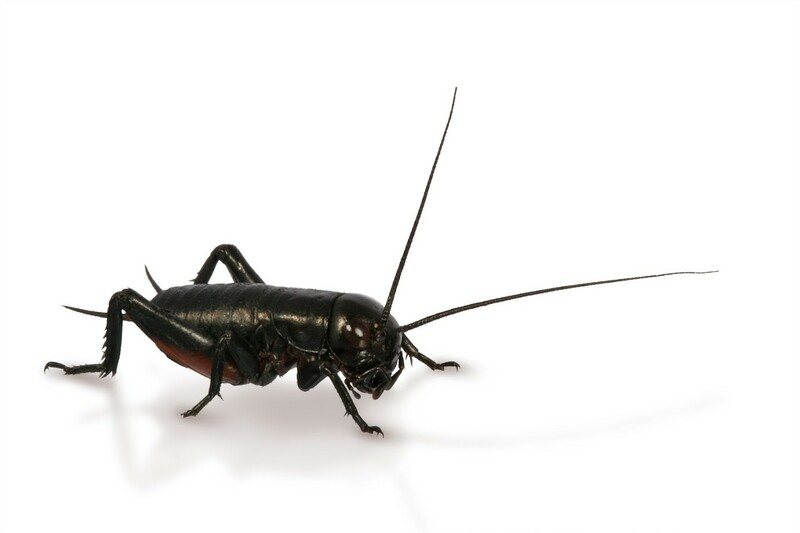 You may also find cockroach droppings that resemble coffee grounds or black pepper. If you notice these signs along with increased difficulty breathing or other allergy symptoms, contact an exterminator. When it comes to ants, you probably worry more about being bitten than about potential breathing problems. Some ants have a powerful sting, and some people may have allergic reactions to being bitten by ants. However, you can also have an allergic reaction even to ants that don't bite. Pharaoh ants are small yellow ants that can be found almost anywhere in the country. These ants do not bite, but they do find their way into many homes. They can often be found in bathrooms or kitchens because these rooms are where they're most likely to find food and water. Research studies discovered that pharaoh ants could trigger breathing problems in some patients. Two middle-aged asthma patients reported breathing problems, but their homes didn't contain any other obvious causes of breathing problems, such as mold or pet dander. Both patients believed that the ants were to blame for their breathing difficulties. After grinding up ants to make ant extracts, researchers tested the patients for allergic responses to the extracts and found that the patients were correct — their respiratory problems were an allergic reaction to the ants. Note that not all asthma patients exhibited the same sensitivity when tested. However, the results from these two patients show that pharaoh ants can cause worsening asthma symptoms in some patients, so you might consider exploring this possibility if you have increased asthma symptoms and notice ants inside your home. Rats are another type of common house pest that could be responsible for breathing problems in the home. People who suffer from rat allergies are generally allergic to either the rat's urine, the rat's saliva, or dead skin cells from the rat's body, otherwise known as dander. Allergic reactions to rats can include skin rashes, itching skin or eyes, coughing, and a runny nose in addition to breathing problems. Even if you don't see rats, they can leave allergens in many parts of the house. Rats groom themselves using saliva, which means that rat hair can be allergenic. Rats also have a tendency to track urine through the home with their feet, which means that rat urine can wind up anywhere, not just in the area where the rats hide. Rats can hide inside walls, in attics and basements, and in garages, to name a few places. Signs of a rat infestation include droppings that look like large grains of rice, smudge marks from grease or dirt on their bodies, and scratching noises, especially at night. If you notice these signs in conjunction with increased allergy symptoms, you may have a rat allergy. The best way to protect your health and is to keep pests out of your home to begin with. For people who already suffer from asthma or allergies, pest prevention can be especially important. To investigate a possible infestation or for preventative services that will keep your home pest-free and allow you to breathe more easily, contact Greenleaf Organic Pest Management, Inc. We can make your home a sanctuary once more. Rats can be a big problem for homeowners. Rats can spread diseases, cause destruction to property, and create more pest problems down the road. Many homeowners don't even know the signs that they have rats. This guide answers some common questions about rats, and it can help homeowners who want information about rats and how they can prevent this pest on their property. What Are the Signs You Have Rats in Your Home? If you have rats in your home, then you may notice these signs of an infestation. Rats are known to have dirty bodies and poor eyesight. When traveling from one location to another, they travel known routes and stay close to the walls. The result is dirt or grime on the walls in the location where they frequently walk. Rats are like mice in that they drop feces everywhere they go. Feces can be found along their favorite routes and near the walls. In locations where rats spend a lot of time, feces may be found in small piles. Rat feces do not smell, but rat urine may smell like ammonia. Rat feces are approximately half an inch long and are shaped like grains of rice. This is larger than mouse poop, which is approximately a quarter of an inch long. Rats can chew through surfaces as strong as wood and plastic and may have chewed their way into your home. Rats can also squeeze through small cracks so watch for those as well. Rats make noises in the house as they chew through walls, eat food, and interact with one another. For example, if you have rats, then scratching noises can be heard in the walls and in the attic. Of course, rats aren't the only animal that makes noises in the walls. Homeowners who hear scratching noises in their walls may also have mice, squirrels, or other small animals. A good pest control company can help the homeowner decide what type of animal is making the noise. What's the Difference Between Rats and Mice? Rats are longer, heavier, and they grow more slowly than mice. When the given the chance, many rats will kill mice. In addition, mice and rats tend not to occupy the same spaces. Mice focus on eating grains while rats like to eat garbage. Usually, rats are not inclined to bite people unless they feel threatened. However, rats can be dangerous because they can spread diseases such as the plague and rat bite fever. 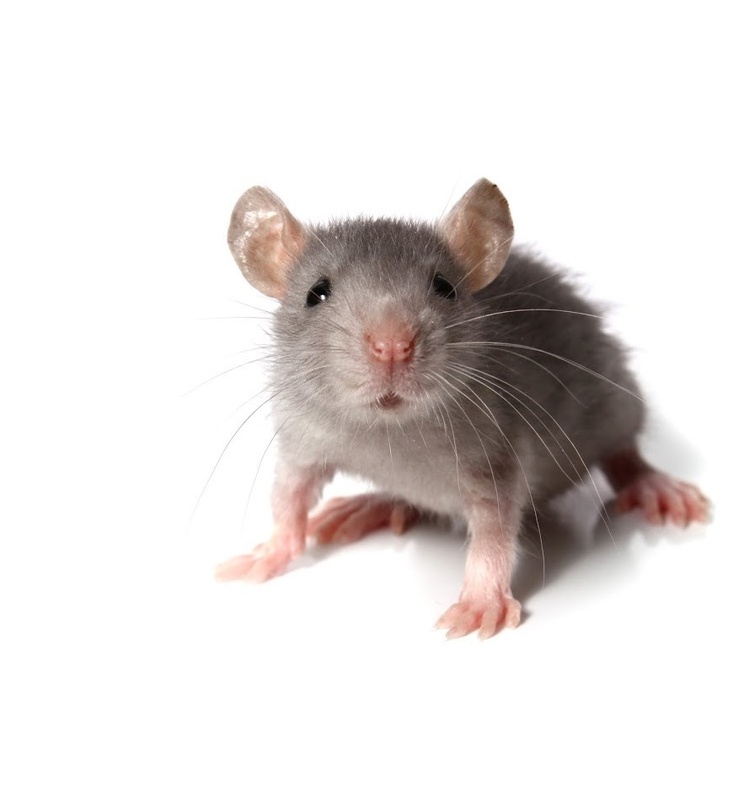 Rats can also be a fire hazard in homes they inhabit because they can chew through wires and create a fire hazard. How Can You Get Rid of the Rats in Your Home? Getting rid of rats is not easy. Once they're living in a space, rats can be very loyal to their home. Once rats move in they need to be exterminated. Working with a professional pest control service is one of the best ways to get rid of rats. A good pest control service can use a combination of traps and other natural means to get rid of rats. Fix any leaks in the house. Put a lid on all interior and exterior garbage cans. Take out the trash as soon as it’s full. 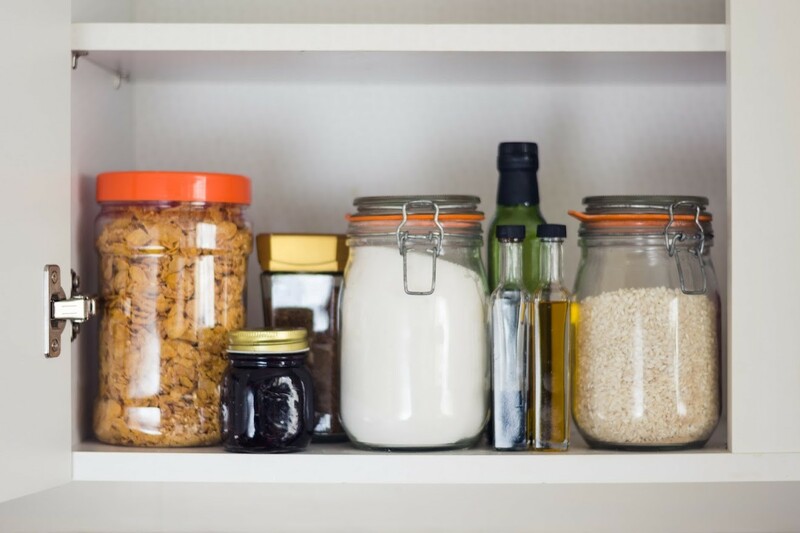 Put any food in the pantry into glass containers. Following these tips can help get rid of rats, but usually eliminating a rat population takes time. Can You Trap Rats Without Help From a Pest Control Service? While you may be able to trap rats without help from a professional, a professional pest control person will know where to look for rats, what type of traps to use, and how to use them safely. Their knowledge will help the extermination go faster and smoother. How Can You Prevent the Rats From Returning? Once rats are gone, you should do a few things to prevent them from returning. Cleaning up every night after every meal can help make the home a less attractive environment to rats. Sealing up any holes that lead inside the house can also help. Usually, it is best to seal these holes with steel wool, which rats cannot chew through. Finally, many homeowners find that it helps to work with a pest control company for regular treatments, even after the rats are gone. Pest control companies can put traps around the home's exterior to control the rat population around the house. This makes it easier to prevent a rat infestation inside the house. 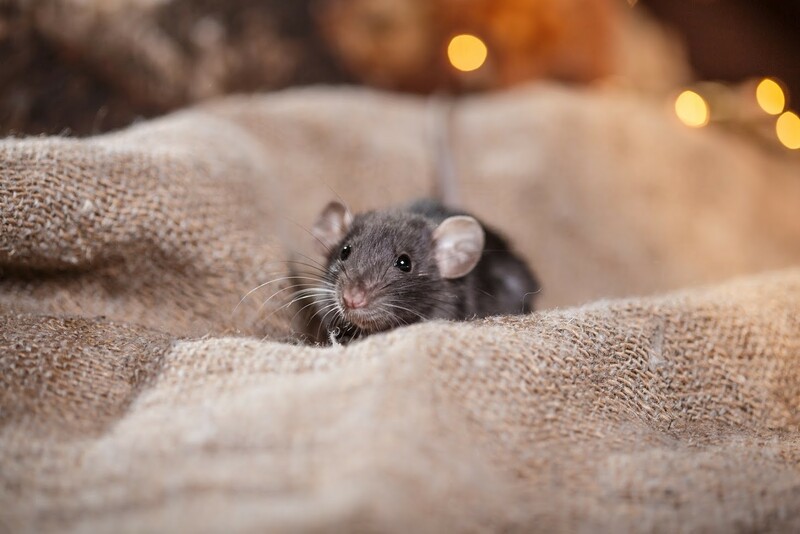 If you have any other questions about rats and would like to know more about how to prevent and control their population, then contact us at Greenleaf Organic Pest Management, Inc. We're happy to answer your questions. 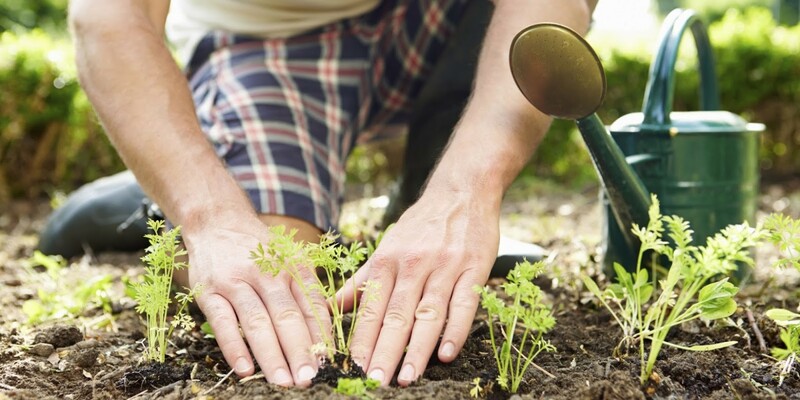 If you're an avid gardener, chances are you spend hours each week planting, watering, weeding, and making sure your crops or flowers are well cared for. Unfortunately, nuisance birds will also try to reap the benefits of all that hard work. In addition to destroying your garden, the feces of nuisance birds can harbor several diseases that dangerous for your family and pets, including histoplasmosis, salmonella, and E. Coli. Don't allow birds to take over your backyard garden. Instead, follow these simple tips to keep them out. The idea of providing nuisance birds with food might seem counterintuitive because the readily-available treats might attract unwanted birds to your yard. Unfortunately, if you're planning to begin a garden or have had one for years, the aroma will also draw birds to your backyard. Planting flowers, vines, or trees to sacrifice to the birds or filling feeders with birdseed will help prevent nuisance birds from dining on your garden. Plant the foliage in an area that is far away from your garden and easily accessible to the birds. Keep any pets away from this area to avoid deterring birds. In addition to planting these and other types of foliage to attract birds to a separate area of your yard, placing bird feeders will also help keep birds out of your garden. Make sure the feeders are well-stocked. If you want to avoid having squirrels invade the feeders, avoid placing them near your trees and invest in a squirrel-proof feeder or a squirrel baffle, which affixes to the top of the feeder. No matter the size of your garden, bird netting is an effective way to keep birds at bay. 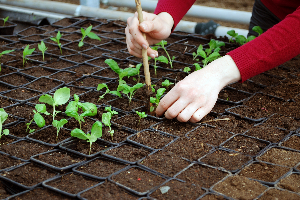 You can find several different types of netting, and the one you choose will depend on your budget and how much garden you need to cover. Polypropylene netting. Made from a durable type of plastic, this type of netting won't conduct electricity and, depending on the size, will keep out several different types of nuisance birds, including pigeons, sparrows, and starlings. Lightweight plastic netting. This netting is more cost-effective and can be used to protect your garden from a variety of birds as well. Knotted netting. This netting features knots at the mesh intersections, which makes it very strong and an ideal choice if the birds are able to get through knotless netting. Knotless netting. A better option if your budget is tight, this type of netting will keep out several species of smaller birds. Bird netting is available in a variety of colors, sizes, and with different mesh sizes. You can also purchase nets that are tossed over bushes, raised off the ground above the garden, or that protect the garden from all sides. Scarecrow. A classic option, this scaring device can be purchased or built with items found in your garage. Place the scarecrow in an area where it’s easily visible to the birds. Reflective items. From aluminum foil strips to specialty tape, when the light reflects off these items, it can confuse and frighten away the birds. Scare decoys. Plastic owls, hawks, coyotes, and brightly-colored balloons with large eyes — several varieties of decoys are available. Place these throughout your garden. Motion-activated devices. When a bird flies by the garden, the device will spray water or emit a loud noise that will startle the birds away. If the birds are attacking your garden at night, you can also use a device that features a light. These scare tactics can be used on their own or in combination throughout your garden, no matter the size. If you've tried everything or if the bird problem is out of control and you cannot handle it on your own, it's time to call a professional. A pest control agent can help you determine the best options to eliminate birds from your property. After a comprehensive examination of your garden and property, they will provide you with a game plan that will help you eliminate the birds without harming the vegetation, your family, and pets. From scare decoys and bird netting to the help of a professional pest control agency, you have a variety of strategies to try to keep nuisance birds out of your backyard garden. If you have any further questions, contact the professionals at Greenleaf Organic Pest Management. Termites | Greenleaf Organic Pest Management, Inc.
Termites are insects that eat wood and plant matter. For homeowners, termites can be a source of anxiety. Left unchecked, a termite problem can do serious damage to a home, garage or shed. However, not all homeowners know how to tell when they have a termite problem or how to prevent one. Knowing what termites look like, what the warning signs are, and how to keep termites out of your home can help you take care of your property and avoid costly damage. There are many different ways to tell when you have termites. Visual sightings, damaged wood, and mud tunnels can all point to termites. Termites look a little bit like ants with wings, and sometimes one can be mistaken for the other. The best way to tell the difference is by checking the length of the wings. Termites have two sets of wings, both of equal length. Ants have longer front wings and shorter hind wings. Adult termites are dark brown or blackish-brown and about 3/8 of an inch in length. 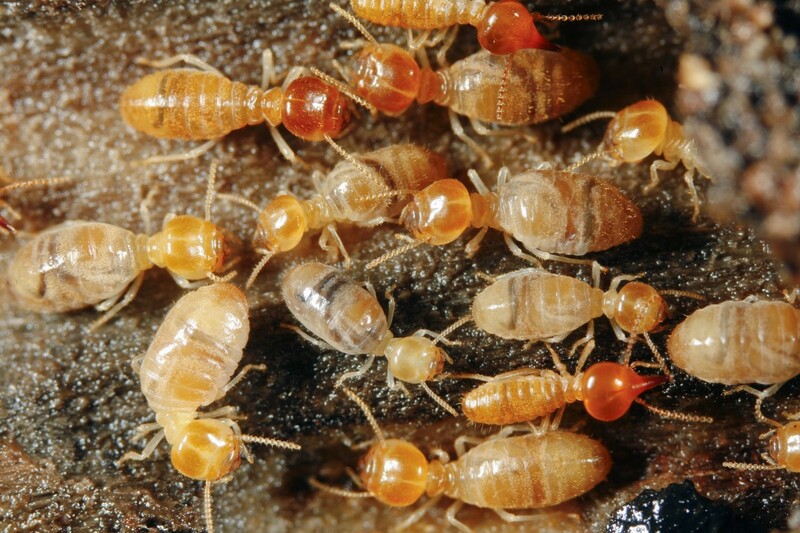 Termites are usually not seen unless they swarm. When this happens, they will emerge in the thousands from the colony, often filling a room and moving toward a light source. Termites only swarm in the early spring when the temperature reaches 70 degrees Fahrenheit or more. Usually, swarms are seen after a heavy rain. Termites eat wood from the inside out, so you may encounter a piece of timber or even a floorboard that has been completely hollowed out. Sometimes with floor boards, termites eat the wood until they come to the heavily lacquered surface, and then they stop. This habit leaves the wood paper thin but still visually intact. When you touch the piece of floorboard, you’ll realize the wood is not solid inside. Or you may knock on a piece of lumber and hear a hollow sound. Often, homeowners discover this damaged wood after or during a construction project. For example, some homeowners won't discover termite damage until they tear back a layer of carpet and discover partially or completely ruined hardwood floorboards underneath. Other times, homeowners will find damaged wood in a crawl space or in the attic. Termites build mud tunnels for the same reason that people build subway tunnels: for transportation. Mud tunnels are pencil-thin tunnels made from a combination of wood and soil. Mud tunnels can be built out of a colony to the ground or in exploration. Often, mud tunnels are found in the basement or outside the home, along the foundation. Many homeowners who see mud tunnels do not recognize them for what they are. These fragile tunnels can be easily damaged or destroyed. However, in protected areas (like the dark corner of a basement) mud tunnels can last for a long time after termites have been exterminated. Homeowners who find mud tunnels should not panic but instead should contact a reputable pest control company for an inspection. Keep wood piles away from the house. Encourage good drainage around the house. Inspect the property periodically for termite damage. Fix leaks as soon as they develop. Make repairs to the roof as soon as damage has been discovered. Caulk or seal holes and cracks in the foundation as they are noticed. The best way to prevent termites is to contact a reputable pest control company and have your home inspected on a regular basis for a termite infestation. This preventative measure is especially important if other homes in the neighborhood have recently been treated for termites since termite swarms will stay in the general area when looking for a new place to make a colony. Once a home has been treated for a termite infestation, the termiticide will continue to work for years after the initial treatment. Your pest control person will tell you how long the termiticide should work. A good pest control company will also warranty their work. Find out what the terms of the warranty so you can call back your pest control company if needed. Termites can be a big pest. Homeowners who are proactive in their search for information about termites can protect their home and avoid the worst of the damage. If you're a homeowner who is concerned about termites, or if you have questions about how to identify and prevent termites, contact us at Greenleaf Organic Pest Management, Inc.We'll be happy to answer your questions and give you more information.